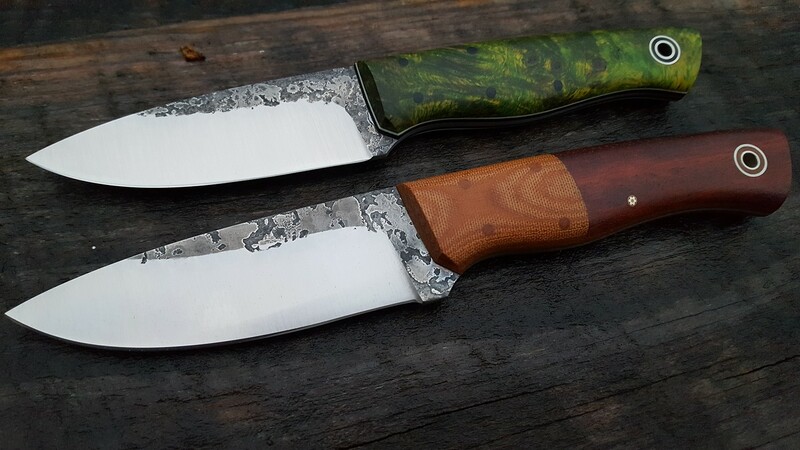 Discussion in 'Fiddleback Forge Knives' started by Choppaman, Feb 4, 2019. 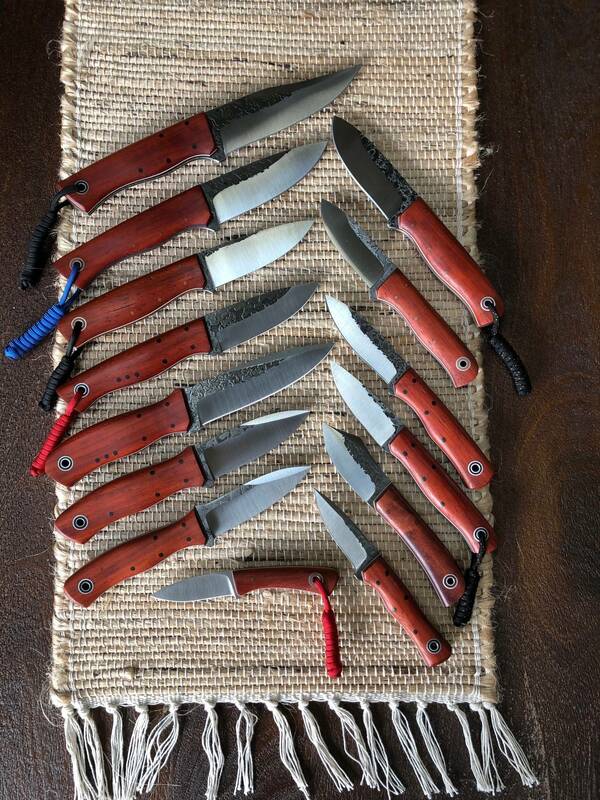 Here is my collection (minus the patch I forgot to include) of @Fiddleback Forge Bloodwood knives. This is one of my favorite woods. I like the texture and color. some of these even have some chatoyancy which is super cool! burnside, Scotcha, Aias and 19 others like this. If the Handyman is 3/32", how much for it? Thanks Nate! a few other pieces I would like to add to this as well especially a Kephart, KEB and Arete and about 5 other models would really finish this up for me! varga49, Nbrackett and jaz322 like this. OH WOW. yep, that would be a stellar addition. Just added to my list! What rhymes with very good? Blood wood! Edit to add: that Duke w/swedge is one of the most badass things I’ve ever seen. Twisted Forest, Nbrackett and Choppaman like this. Very nice. My favorite is the Hunter. Well done. That's a nice collection Choppa! This is my only Bloodwood for now... I've been searching for a Bushboot. Aias, Nbrackett and Choppaman like this. Wow--what a stunning collection. 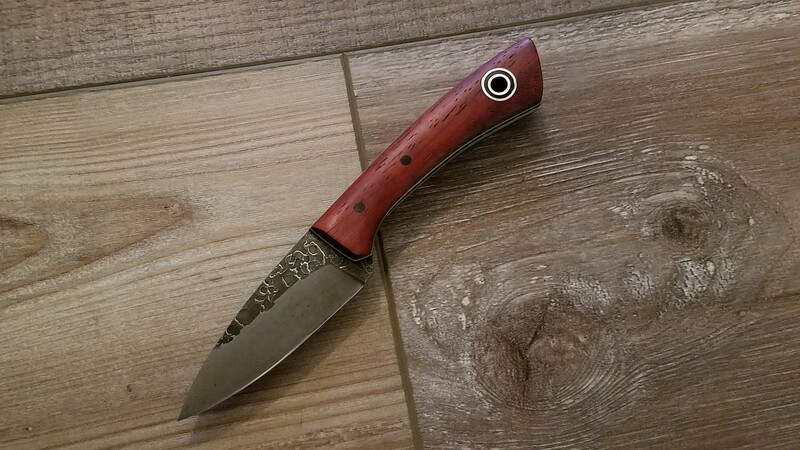 You convinced me of the beauty of Bloodwood! Scotcha, Hotshot10, Curl of the Burl and 4 others like this. I love that Pack Rat. You have a great-looking collection overall. I love that Pack Rat. You have a great-looking collection over all.